The first of seven lawsuits brought by victims of police torture during the final years of the regime of dictator Francisco Franco has been filed in Madrid against former police inspector Jose Antonio González Pacheco, alias Billy el Niño (“Billy the Kid”), for his alleged involvement more than 40 years ago in brutal acts of torture and violence against at least 70 political prisoners, jailed for their opposition to the Franco regime. The first lawsuit to be brought against González Pacheco in Spain was filed by Luis Suárez-Carreño, who at the time of his capture and alleged torture by González Pacheco in 1975 was a young militant of the clandestine Liga Comunista Revolucionaria (LCR, or Revolutionary Communist League), a Trotskyist organization opposed to the Franco dictatorship. González Pacheco, a police inspector within the Social-Political Brigade of Franco’s General Directorate of Security, is charged in the lawsuit with beatings and humiliating interrogation techniques used on Suárez-Carreño, as well as solitary confinement with no food or water in windowless cells. Six additional lawsuits are expected to be filed in succession by former Franco-era torture victims alleging similar beatings and torture at the hands of González Pacheco. 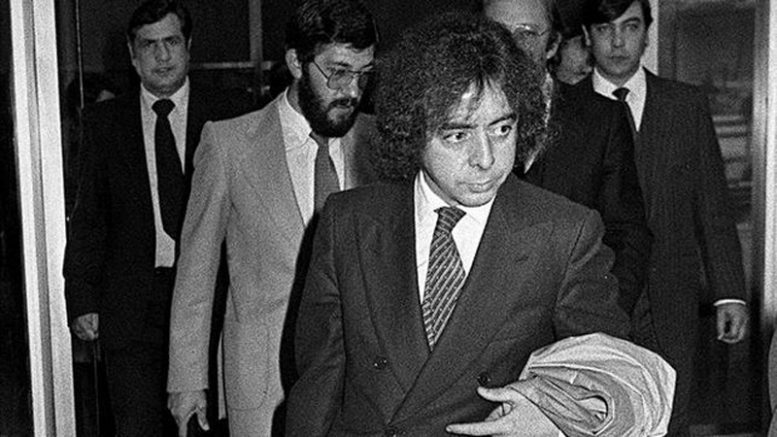 The lawsuits are being coordinated by the National Coordinator for the Support of the Argentine Appeal (CEAQUA), an organisation founded in Spain to support the request by Argentine human rights judge Maria Servini to have 19 Franco-era officials extradited to Argentina to stand trial on human rights charges for which the Spanish government will not try them. Among the former Franco-era officials sought by Servini was González Pacheco. In March 2015, the Spanish government refused the extradition request saying that a 30-year statute of limitations on such crimes had expired in Spain and the 19 individuals could therefore not be tried on the rights abuse charges. Despite the government’s argument regarding the expiration of the statue of limitations, the victims of Franco-era torture working with CEAQUA have decided to file the series of lawsuits to focus public attention on the impunity enjoyed by González Pacheco and others in Spain for human rights violations that would be prosecuted as crimes in any other European country.